 Many say Roquefort is best blue cheese in the world. 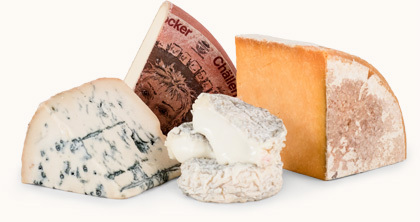 It's one of the great French cheeses with a salty, distinctive, and powerful flavor. This cheese is made with the milk of ewes that graze on the lush plateaus of Aveyron. Roquefort is ripened in natural caves found under the village of Roquefort-sur-Soulzon in the south of France, and carefully tended by the Societe fromagerie. This scrumptious cheese is laced with dark blue-green mold, and has the piquant flavor you would expect from sheep's milk. Roquefort is a soft cheese that will melt in your mouth, but it's dry enough to crumble, and can be spread. Serve it after dinner with sweet fruit and wine - a perfect dessert. We recommend hearty Rhone reds, a sweet white Sauterne, or a dry Riesling. Carr Valley Pinconning is made from an old recipe by Carr Valley Cheese Company in Wisconsin, which was established in 1902 and continues to employ the hand cheese-making skills of four generations. 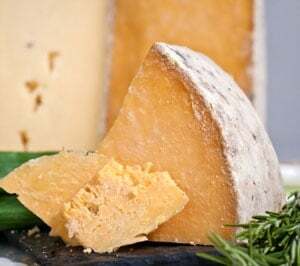 A mild blend of colby and cheddar cheeses, Carr Valley produces its Pinconning in large thirty-eight pound wheels which we slice into long narrow wedges for our club members. Carr Valley Pinconning is a yellow semi-hard style cheese with an open texture, which allows it to age quite well from mild to super sharp. This cheese is typically eaten instead of Cheddar or Colby, and works well in macaroni and cheese or in omelets and soufflés. Purple Haze is a fresh goat’s milk cheese flavored with lavender buds and wild harvested fennel pollen. The name, inspired by Jimi Hendrix’s classic song, reflects more of the appearance rather than the taste of the cheese. This chevre has a sweet, flowery (but not overwhelming) flavor of soft, creamy texture. Pair it with crackers, ripe figs or Zinfandel.